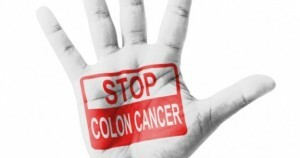 Most colorectal cancers start as benign growths, called polyps, in the lining of the colon. Over time, they can grow in size and number and become cancerous. Early identification and removal of these polyps can prevent colorectal cancer from developing. Screening for colorectal cancer involves a stool test, which may not be pleasant, but it is easy, painless and could save your life. The Canadian Cancer Society recommends a stool test at least every two years for women and men age 50 and over. If the test is positive, your doctor may recommend a colonoscopy to provide a closer look inside your colon to allow for the removal of any polyps found. You will require more frequent screening if you are in a higher risk group, for example if you have a personal history of colorectal cancer, or you have a first-degree relative who had the condition. Keep a healthy body weight. Aim for a body mass index (BMI) between 18.5 and 24.9. Calculate your BMI with this free online tool from the Dietitians of Canada. Stay active. Research finds that people who sit most of the day have a greater risk of developing colorectal cancer.2 Make sure you get up and move throughout the day in addition to meeting the recommended target of 150 minutes of physical activity each week. Eat a healthy diet. You can minimize your risk by eating a diet rich in vegetables, fruit, whole-grain foods, fish and nuts. Cut back on red meat and overly processed foods. A handy rule of thumb is to have plant-based foods on at least half your plate. Visit Colon Cancer Canada to see videos of famous athletes, celebrities, recording artists and actors and find out why they are speaking out about the importance of screening for colorectal cancer. 1. Colorectal Cancer Association of Canada. 2. Maclean’s: Why sitting is a dangerous health threat.